Few things go together as well as Fall and New England. It starts at the end of August when the days begin to get noticeably shorter, the nights a little cooler, and the bugs louder. September is a beautiful month. By then, you can tell Summer is over. The weather is still beautiful, but the busy Summer crowds have all but let except for on the weekends. Everything gets this burnt look to it, the leaves on the trees look like they have been baking in the sun all Summer long and begin to turn. It isn’t until the first week of October that the foliage really begins to peak in southern Rhode Island. I always make a point of it to get out for a few early mornings on the lake around this time of the year. The water is still warmer than the air and each morning, if the temperature gets low enough, a huge cloud of fog lifts off of the pond. Paired with the beautiful yellows, reds, and oranges of the surrounding foliage, it is really a magnificent sight. 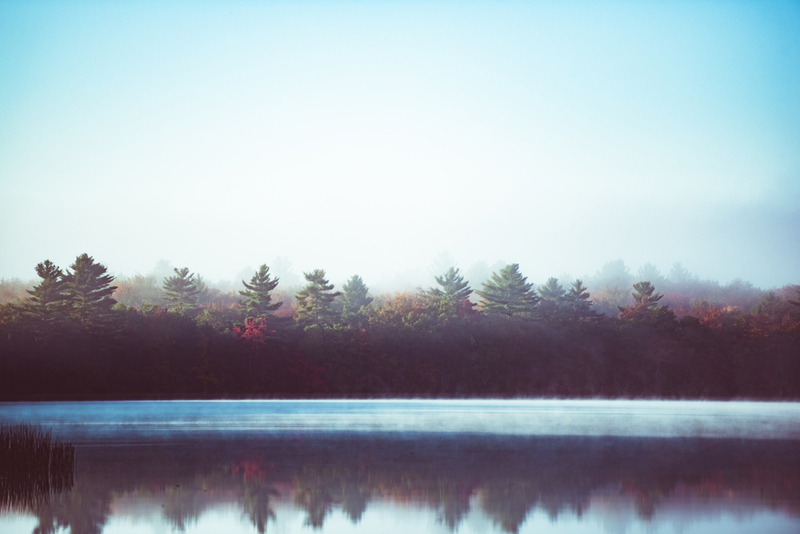 This year, I was lucky enough to get out on the lake on one of these beautiful mornings, check out the photos below for a look at Fall on Yawgoo Pond. A flock of geese take off through the early morning fog on Yawgoo pond. A scenic photograph of geese taking off over beautiful Rhode Island foliage on a foggy autumn morning at the lake. 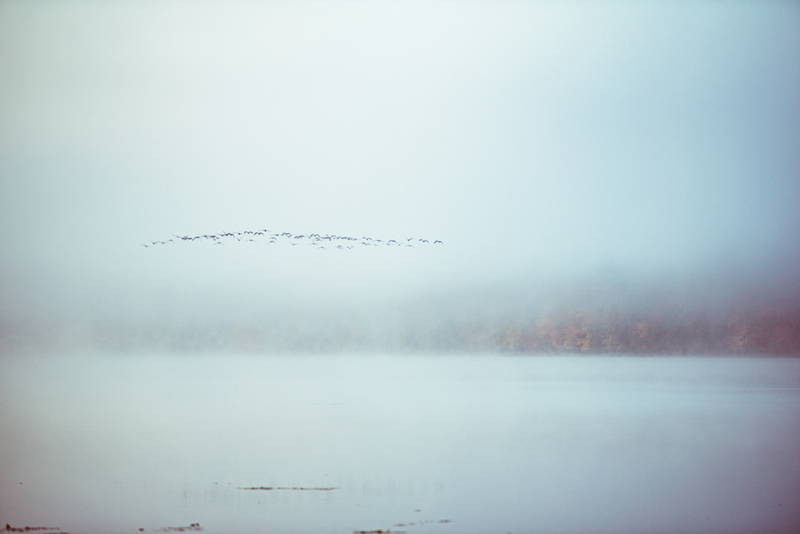 A flock of Geese taking off out of the fog on Yawgoo Pond in early October. Rhode Island Fall foliage on a foggy morning in early October. My two year old Black Lab, Keavy, wades through the water. A beautiful autumn morning on the lake in Exeter, Rhode Island. A beautiful autumn shoreline on a freshwater later in Exeter, Rhode Island. The sun rises through the fog on an early October morning at Yawgoo Pond in Exeter, Rhode Island. Looking through the trees on a beautiful Fall morning on Yawgoo Pond in Exeter, Rhode Island. The fog slowly cleared and showed the beautiful autumn colors of Rhode Island. 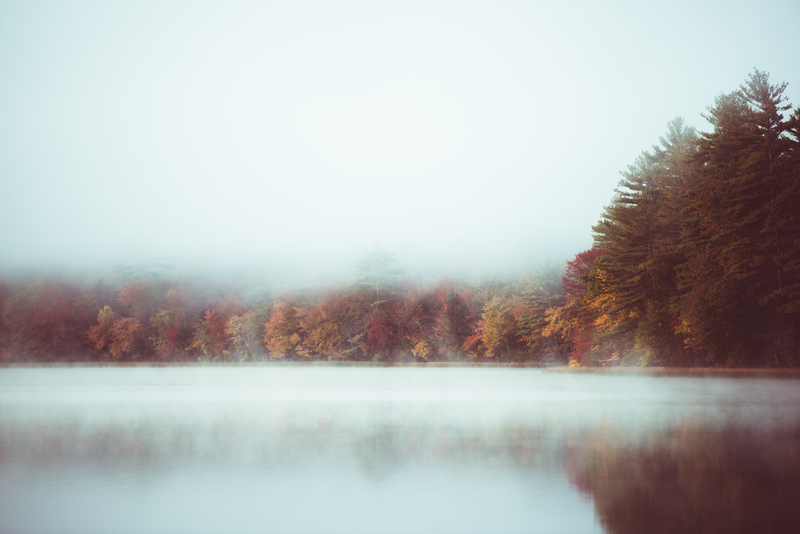 Autumn colors in Rhode Island as the fog rises off a lake. My two year old black lab overlooks a Rhode Island lake in the Fall. A portrait of my brown eyed American Black Lab. The beautiful reflection of yellow Fall foliage on a lake in Exeter, Rhode Island. Fall Foliage on a lake in Exeter, Rhode Island. The sun sets on another Fall day in Exeter, Rhode Island. 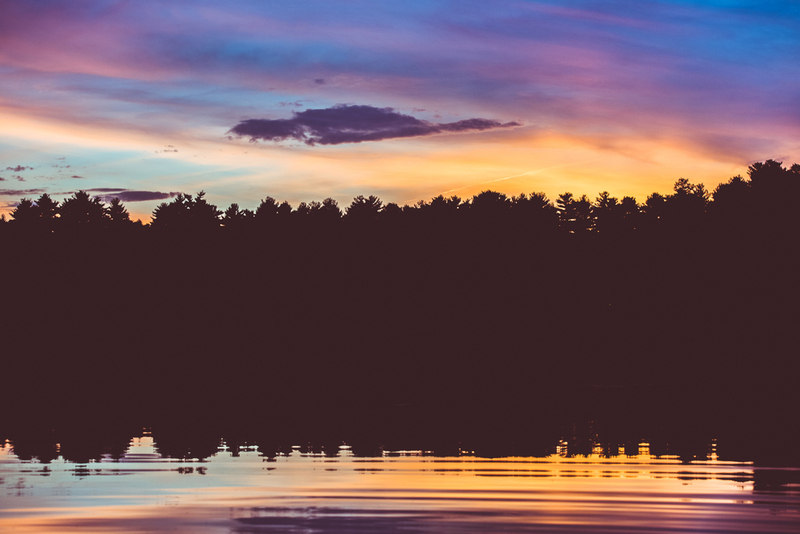 A beautiful golden sunset on a lake in Exeter Rhode Island. 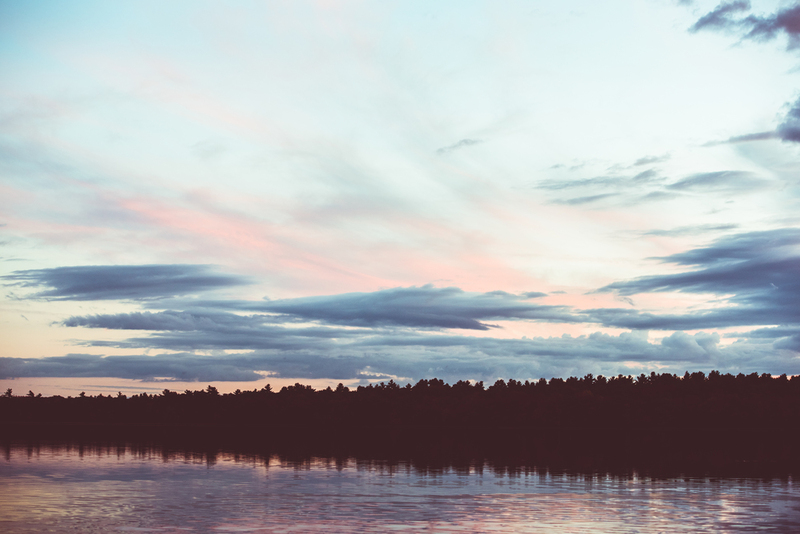 A saturated sunset over a pond in Exeter, Rhode Island.